Click the Kanban Board configuration icon to open the Settings window. Alternatively, you can use Manage Boards to create a new board. For more information about its usage, see Manage Boards. 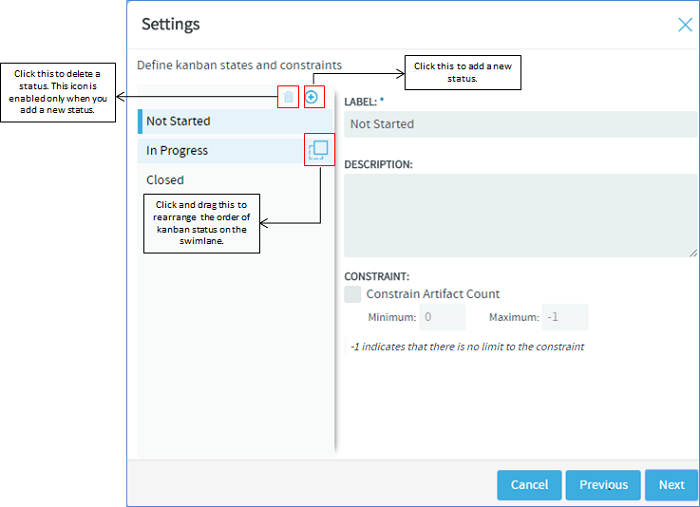 A kanban state is the status of a work item in a value stream (swimlanes). The constraints or the limits that you specify here dictates the behaviour of the board. These are checkpoints which eventually help you track the progress of a work item, identify bottlenecks and fix them. 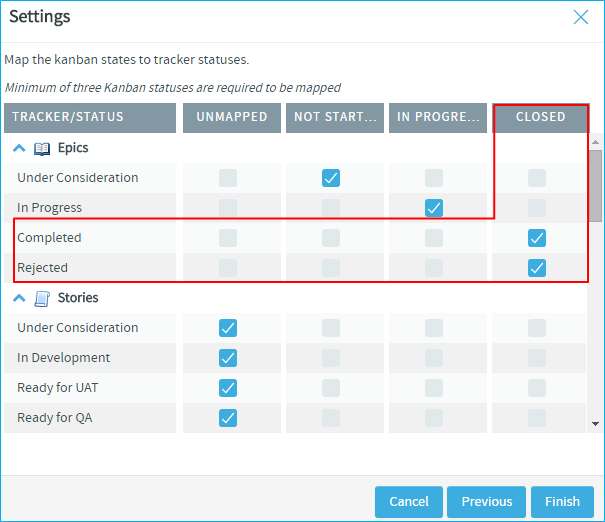 The default kanban statuses are 'Not Started', 'In Progress' and 'Closed'. Let us assume that you are in the last iteration of your release. As a project manager, you would not want to see any artifact in the 'Impeded' status. So you set the minimum to -1 and maximum to 0, which translates to zero artifacts. When this constraint is applied, your Kanban Board flags a violation, if artifacts show up in the 'Impeded' status, thereby drawing your attention to address the issue immediately. This indicates there is no limit to the maximum value. You may choose to set -1 as the maximum constraint for the 'Closed' status because you would want to see as many closed artifacts as possible. Click the appropriate check box. 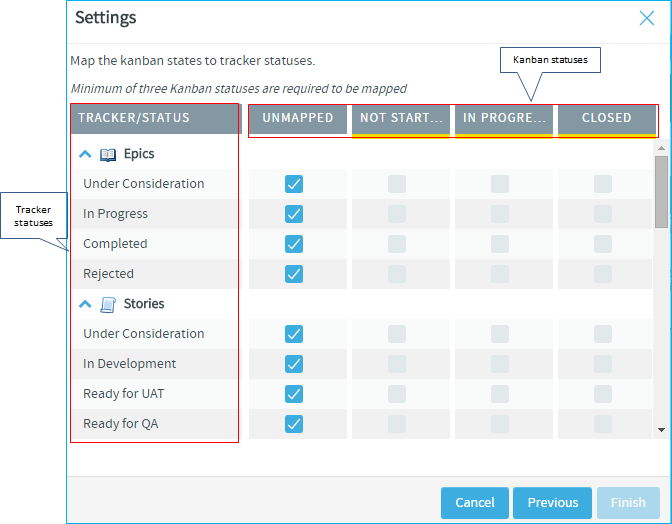 For example, for an Epic tracker, map 'Completed' and 'Rejected' tracker statuses with the Kanban statuses 'Closed' by selecting the appropriate check boxes as shown in the following screenshot.